A City Commission Meeting will take place on Monday, April 15, 2019. The meeting will be held at City Hall in the Commission Room starting at 7:00 PM. The agenda will be posted 48 hours prior to this meeting on our Agendas & Minutes page. Public Notices can be found on our Public Notices page.  In compliance with the Americans with Disabilities Act (ADA), anyone who needs a special accommodation for this Meeting should contact the City Clerk’s Office at 863-968-5133 at least 48 hours in advance of this Meeting.